Sweating it out in a sauna? There may be some health benefits! The body’s response to the gentle, persistent heat of a sauna is well-documented and proven day in and out by people all over the world. This is why more and more doctors are recommending its purifying benefits. Research studies have shown a link between sauna and reduced cardiovascular risk, and now a large study from Finland suggests its use could also help decrease all-cause mortality, and that the associations may be "dose-dependent.” The study of 2,000 men showed that the rate of sudden cardiac death, fatal coronary heart disease and all-cause mortality 18 years later were all significantly lower for those who used saunas two to three times per week, compared to those who only used them once a week. And the numbers were even lower among those who participated four to seven times a week. The length of the sauna session was also notable. Spending 19 or more minutes in the sauna was associated with a 52 percent lower risk of sudden cardiac death than those who spent less than 11 minutes in the sauna. The research done on the heart-health benefits of saunas makes you wonder – what are some other health benefits one might enjoy from relaxing in a sauna? Stress relief. 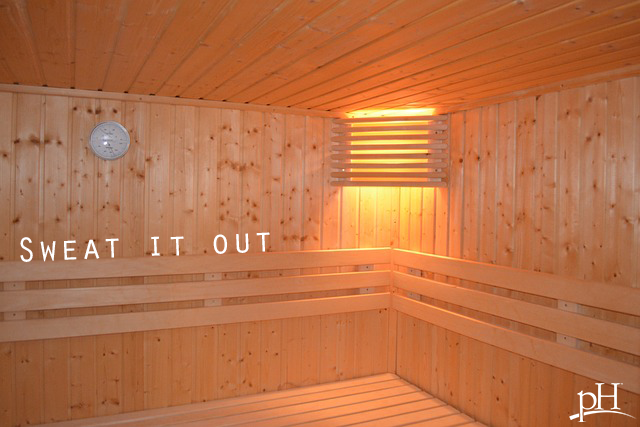 The heat from the sauna relaxes the body's muscles, improves circulation and stimulates the release of endorphins. Endorphins are the body’s all-natural "feel good" chemical. May flush out toxins. Studies show that deep sweating may help reduce your levels of lead, copper, zinc, nickel, mercury and other toxins commonly absorbed from the surrounding environment. The average person typically sweats out about a pint during a short sauna session! Improve cardiovascular performance. The increased heart rate and sweating are similar to what you’d experience walking at a moderate pace. May boost your immune system. In one study, 50 adults were split into two groups. One group used saunas regularly and the other group did not. After six months, the sauna group had contracted fewer colds. Another study found similar results. You should definitely speak with your doctor about any health concerns though, especially because your doctor may tell you that saunas would be dangerous for your specific condition. Relax and soothe muscle and joint pains. Saunas have long been used for relaxing the muscles and joint pain, and modern research is starting to confirm some of these benefits. A study published in Clinical Rheumatology showed improvements in stiffness and pain in people with rheumatoid arthritis and ankylosing spondylitis (“an inflammatory arthritis affecting the spine and joints”). As you can see, there are many reasons why people choose to use a sauna. But there are also many claims floating around the internet that are unsubstantiated, so use discretion when researching further benefits on your own. You should speak to your doctor about whether saunas are safe for you. If you get the go-ahead, start at a low temperature and pay attention to how your body responds.